Many industries demand excellent cut protection for not just the hand, but for the arm too. 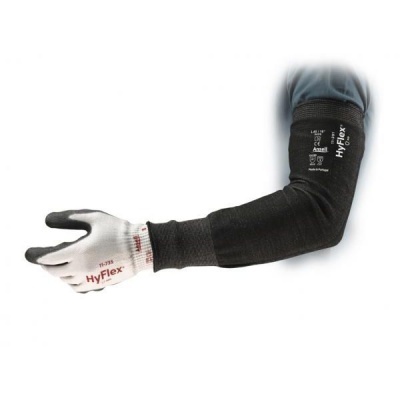 The Ansell HyFlex 11-250 30.5cm Cut-Resistant Sleeve, offers exceptional cut protection for the arm, while also protecting against tears and punctures. Highly versatile, the sleeve comes with the option of being either wide or narrow, allowing the user to choose the design that suits their needs most. The perfect choice for high cut risk applications such as metal fabrication and using machinery. This sleeve is available in one size, that should suit most users. The sleeve is 30.5cm in length, however there is the choice between a narrow option and a wide option.